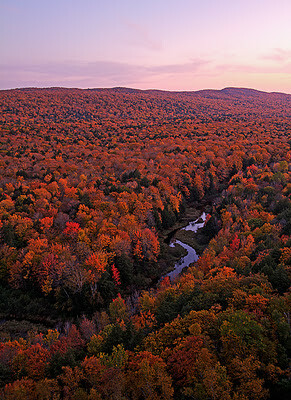 During a one night excursion to the Porcupine Mountains, I was fortunate enough to witness an unbelievable sunset over the Big Carp River. 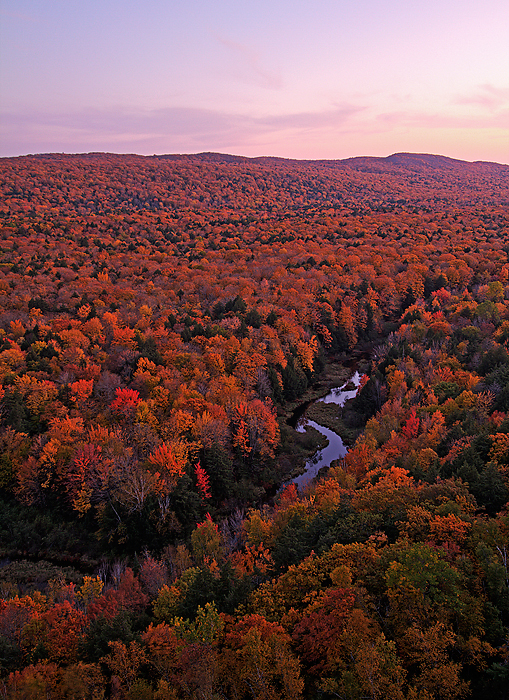 The warm hues of sunset complimented the warm hues of the changing foliage. The display was quite unworldly, the massive expanse of deciduous trees made my mouth drop in awe. I am looking forward to re-visiting the area with Robin when time is more available next year. This mini trip was all that I needed to learn and discover the pure beauty that is Northern Michigan.